Imagine a sweet, ambitious 6-year-old girl growing up in the slums of Mexico City. That’s Flor. She’s a student at Christel House Mexico and is now in first grade. Flor is evidence that regardless of how young you are, you can make an impact on those around you. Flor’s grandmother, Miss Magdalena, is like a mother to her. Flor’s biological mom passed away the day she was born, and Miss Magdalena became Flor’s guardian. Miss Magdalena doesn’t know how to read or write. When she can’t help Flor with her studies, she knows she can count on a teacher at Christel House to mentor her granddaughter and keep her on track with her learning. 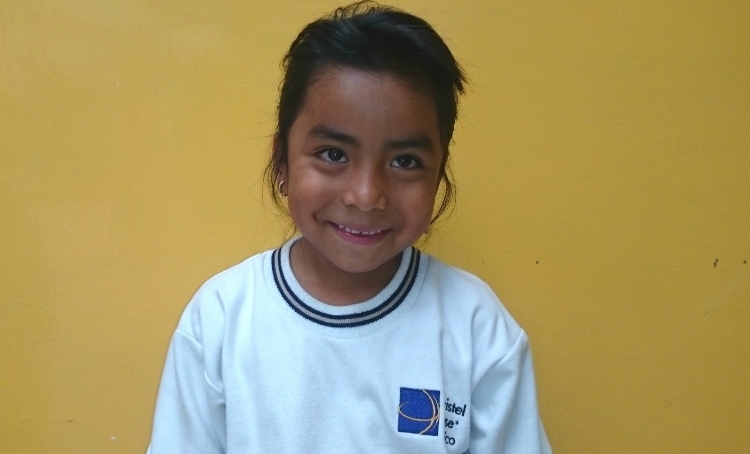 According to her teachers, Flor is respectful, enthusiastic and eager to participate. Every day, she strives to improve and learn something new. She enjoys helping her teachers keep order in the classroom, and her peers say that class wouldn’t be the same without her. She excels in math and takes advantage of the opportunity to support her classmates. When Flor grows up, she wants to become a doctor. You can support Flor and help students like her overcome difficulties and pursue their dreams—in the present and in the future. Thanks for all you do for the kids of Christel House. With your support, Flor has the opportunity to turn her love of math into a career in medicine. To support a student like Flor, please visit christelhouse.org/donate.